Robert Archibald Smith lived in Paisley for a time, and meeting stray songs of Tannahill's, and appreciating their beauty, while their author was unknown to him, he wrote music for some of them, which became popular at once. This led to an invitation to Tannahill to contribute to a metropolitan periodical, and later, to the publication of a volume of " Poems and Songs." Many of the latter became widely known. 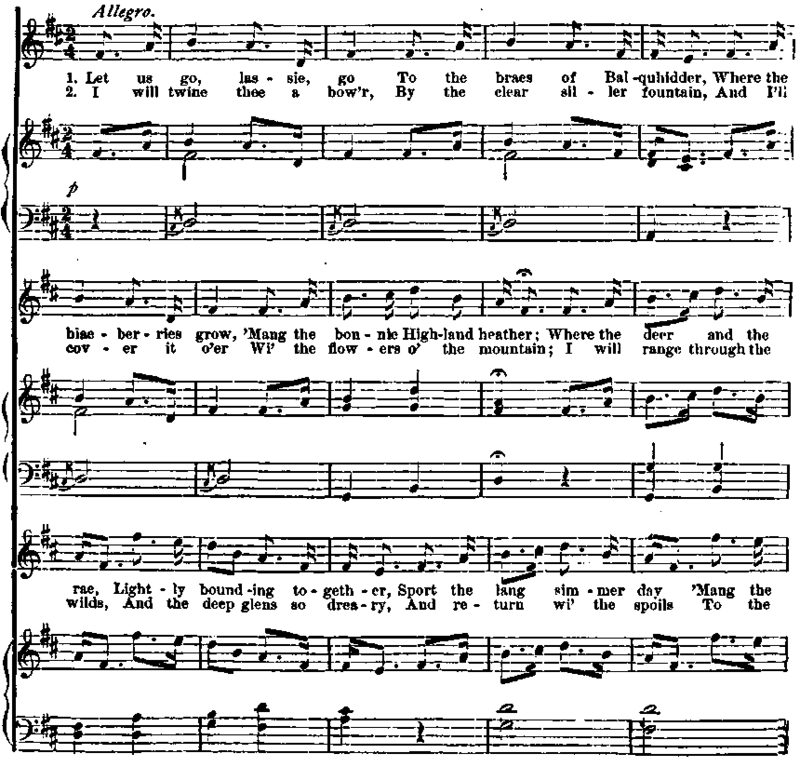 Tannahill's heart had now learned to "beat high for praise," aud he wrote and re-wrote with care. But those that held the keys to present fame refused to turn them for the sweetest song�writer who had knocked since the bard of Ayr; and when, disappointed and disheartened, ho turned away, a gloom settled down upon his spirit which forbade any further intellect�ual effort. At this time the Ettrick Shepherd made a journey to Paisley on purpose to form his acquaintance. The poets passed a happy night together, and on parting, Tannahill said, " Farewell, we sball never meet again. Farewell, I shall never see you more!" " The poor heart, in this vale of sorrow, By the storms of life beat sore, Lay down to a happier morrow, On the couch where it beat no more."